Artist Chris Nixon has work included in the Lizard Art Co-Operative Spring Art Fair Exhibition at the Stableyard Gallery, Trelowarren Estate. Lizard Art is a co-operative of artists who mostly live and work on the Lizard Peninsula in Cornwall. Their members work in a wide spectrum of styles, and media, but all have in common the fact that they draw their inspiration from the wild and rugged landscape, with its huge range of light and colour. The Spring Art Fair opens on 25th March and continues daily until 15th April. 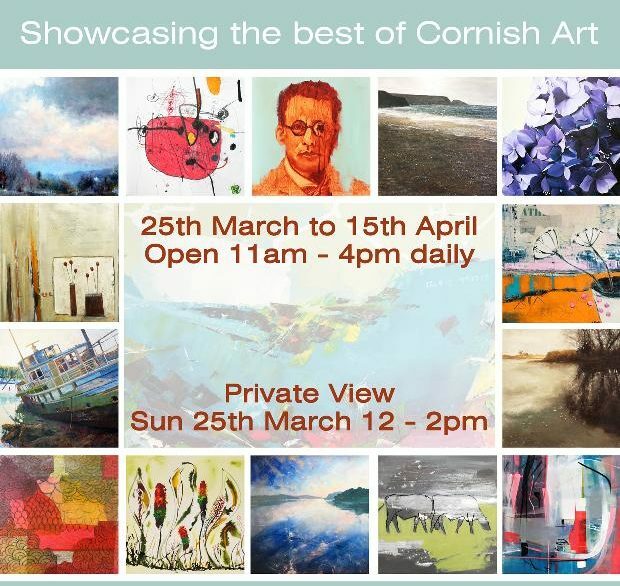 For more information visit the Lizard Art Co-Operative website.